It's back! 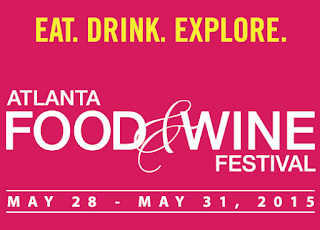 The 5th annual Atlanta Food & Wine Festival kicks off today and runs through the weekend. 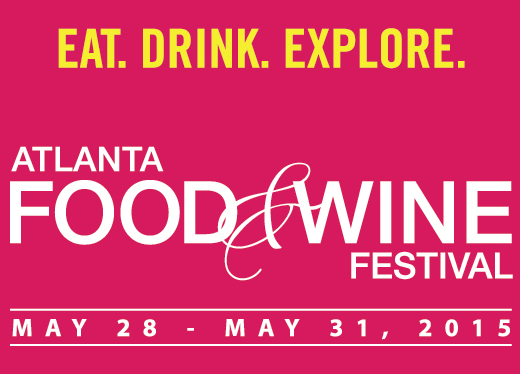 Taking place in the heart of Midtown Atlanta, the festival boasts a variety of interactive events and dining experiences featuring some of the top chefs, sommeliers and restaurants in the South. You can opt for a 1 day or 3 day pass (or special Connoisseur passes for the serious 'foodie'). Participate in one of several classes throughout the weekend, enjoy the tasting tents or take in a fine dining experience during special evening dinners featuring award winning chefs such as the Rathbun Brothers, Shaun Doty (Bantam + Biddy) and more. Festival attendees can even download a handy 2015 mobile app to view schedules, maps, purchase tickets and more. There are several ticket and event options available to customize your festival experience. While some events have already sold out there are still other great festival events to choose from so hurry to secure your spot! For more information and to purchase tickets, please visit the event website at atlfoodandwinefestival.com.